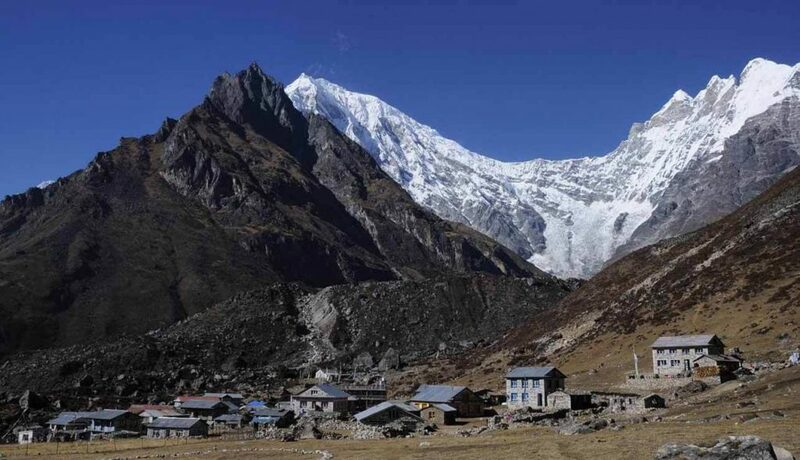 Langtang trek is one of the classic treks of Nepal. It is a beautiful opportunity to trek and climb small peaks. Langtang trek is one of the most affordable and accessible high altitude treks in Nepal. The Langtang valley is only 19 miles north of Kathmandu. An average Langtang trek cost ranges around $540-$930. There are a lot of factors that incurs the cost. The choices on various factors you make during the trek determines the total cost of a Langtang trek. You need to have two permits to do the Langtang Trek. Both of these are compulsory for your Langtang trek. TIMS (Trekker’s Information Management System): US $20 (Nrs. 2000) per person. TIMS is compulsory for everyone wishing to trek in Nepal. 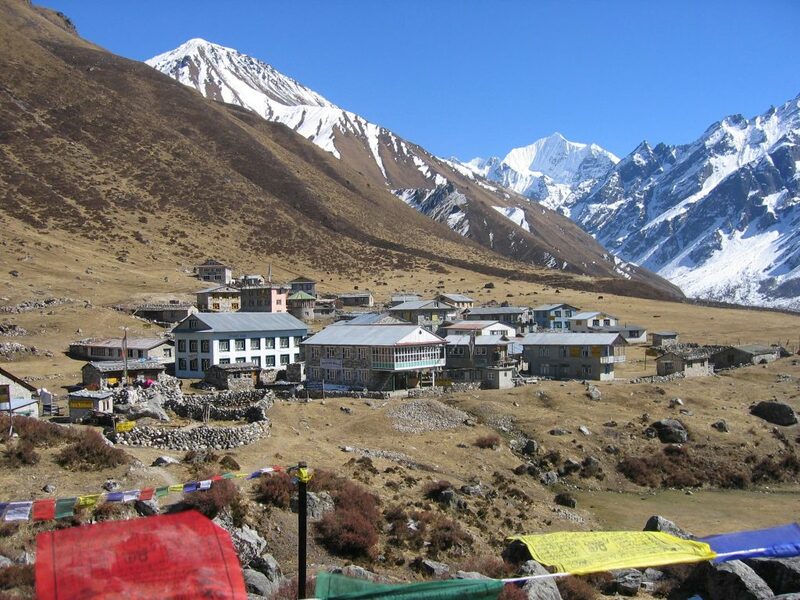 Langtang National Park Entry Permit: US $30 (Nrs. 3000) per person. You can buy both these permits at NTB (Nepal Tourism Board), Kathmandu before you go on your trek. You can also buy these permits on the trail-head. There will be a slight difference in the prices. There are numerous checkpoints on the trails. You will have to show the permits to the government officials at these checkpoints. If found without these, you will have to pay a fine or may have to return back. Locals do not need these permits. Hence, you will not need to buy permits for your local guide or porter if you choose to trek with them. The average Langtang trek is around 8 to 11 days. However, once on the trails you may want to change the duration. This can be due to the enchanting peaks, beautiful glaciers and quaint villages along the trails where you may want to stay longer. So, the duration of your Langtang Trek depends on what you choose to do or/and skip. The number of days affects your overall Langtang Trek cost. Each day has a cost associated with it- meals, accommodation, drinks and so on. Kathmandu is where your journey begins. If you choose to stay here, the choice for accommodation is limitless. From 5 star hotels to basic lodges, Kathmandu has it all. Thus, the cost of accommodation per night is wide. You can spend anywhere between the US $5- US $250 per night for accommodations. Once on the trails, you will be accommodating in local lodges and tea houses. Most of the tea houses provide accommodation for free to little charge if you have meals in the same tea house. The average cost for accommodations of tea houses is US $2-5 (Nrs. 200-500) per night. The tea houses may charge more if you don’t have meals there. Some tea houses also do not accommodate you if you do not have meals in the same tea house. During peak seasons, you have to pre-book to get the desired rooms. Else, you may end up sleeping in less desirable rooms or end up sleeping in the dining area. Most of the tea houses, cafes, and restaurants on the trail usually serve healthy, wholemeal and snacks. They also serve a variety of drinks as well. The cost of meals, snacks and drinks increases as you trek higher. This is due to the lack of transportation, lack of farmland in the upper regions of the trek. The local favorite Dal, Bhat, and tarkari (a meal of steamed rice, lentils, and stir-fried seasonal vegetables) are available in most of the tea houses and restaurants. You also get choices of noodles, dumplings, fried rice. Some offer more choices. Both vegetarian and nonvegetarian options are available in most of the tea houses. In the lower regions, a healthy, hot meal will cost around Nrs. 200-300 (US $2-3) per plate. In the higher regions, the same meal will cost you around Nrs. 400-600 (the US $4-6) per plate. We suggest that you bring your own light snacks. These can include popular chocolate or granola bars, energy drinks. Buy them in Kathmandu or at the beginning of the trek. As mentioned, the price of snacks is quite steep in the higher regions. Staying hydrated is very important. It is compulsory for a comfortable and safe trek. Do not forget to keep yourself hydrated throughout the trails. For drinks, you do have some choices. Bottled water, tea, coffee, soft drinks, ginger tea, flavored hot and cold drinks are easily available on the trails. In Kathmandu, you can easily get bottled water for Nrs. 20-200 (US $.25-$2). This range is due to the brand and where you get the bottled water. In the higher regions, the local bottled water will cost Nrs.300-400 (US $3-$4). Having water purifiers like puri-tabs or gels to purify your drinking water is a great way to reduce your cost. This is also a safety precaution against water contamination. You can easily fill your bottles from the pure, glacier-fed waterfalls, streams, taps on the trails. You can then filter it using your aqua tabs, gels, or water purifying tablets. Langtang trek is possible with or without guide and porter. For beginners and people new to the area, we recommend you to have both. They help ensure a comfortable and safe trekking experience. A guide and porter help enhance your trekking experience. A guide provides information about the local landscapes, mountain peaks, flora, fauna, and wildlife on the trails. A guide or porter can also recommend you the best tea houses to stay and eat at, the best rest stops, the best vantage points. A guide or porter can also help you interact with the locals. A guide can provide updates about the weather conditions, trail conditions. A porter can help share your load. Treks can be physically demanding. A light load can help you focus and balance on the trails. It can make a huge difference in your trekking experience. Note: Always check the credentials of your guide, porter before hire. This is for your safety as well as good for the professionals. If possible, get to know them before the actual trek. This eases your guide to know what you expect from the overall trek and can make arrangements as such. Nepal is famous for its handmade products. The locals of Langtang region are no exception. The locals make beautiful, handmade products like bags, purses, dried fruits, clothes, sandals. These make great souvenirs to take back home for your loved ones. They can also be great memorabilia of your trekking experience. Tipping is common in tourist-related areas. These include hotels, tea houses, cafes, restaurants, guides, porters. You can tip for a job well done. Note: Make sure you have some money set aside for these as well. Langtang Trek is a moderate trek. You don’t need excessive and fancy gears nor mountaineering gears. Bringing them is a huge mistake. The packing essentials for Langtang Trek are the basic trekking gears. Trekking t-shirts, full sleeve shirts, trekking pants, windproof jacket, lightweight rain jacket, undergarments. A pair of hiking boots, comfortable sandals, a few pairs of socks. Small towel, water bottle, lip care, sunscreen. Trekking pole, map, water purifier, antiseptic cream. Buying unwanted or fancy items will add to your cost. These extra gear may require extra porters. These further add to your cost. Instead of buying these things, you can rent them from Kathmandu as well. The cost of renting is between $1-$5 per item per day. The range is due to the type of equipment, supplies and bargaining skills. Opt for local, popular dishes. This includes Dal – Bhat –tarkari. You can ask for second helpings as well for this dish for no cost. The local meals are cheap, high in calorie. These are easily available as well. Western foods cost more and take longer to prepare as well. Local bottled water, Nepali tea is also cheaper than branded ones. The local meals and drinks are also great to indulge in the local cuisines. Bargaining about prices is an integral part of most commercial transactions in Nepal. This is true for negotiating prices of souvenirs, hotel rooms, guides, porters. This should be an enjoyable social exchange in ideal situations. You can change your foreign currency for local currency in Kathmandu. On the trails, it is rare to come across a decent foreign exchange counter. You can also access cash from ATMs. Cards are also accepted in most places in Kathmandu. This is not the case on the trails of Langtang Trek. Most of the tea houses do not accept cards. ATMs are not reliable on the trails either. In the Nepali rupee, you get banknotes and coins with different denominations. Have enough small denominations to last you for the duration of the trek. The local tea houses will find it difficult to give you changes of large denominations. Langtang trek is one of the classic treks of Nepal. It is comparatively shorter than other popular treks of Nepal. It is also the closest place to view the majestic snow-capped mountains and beautiful glaciers. Along with this, it is one of the most affordable trekking destinations of Nepal. You do not need expensive permits nor long vacations to do this trek. Yet you can enjoy all the thrills and perks of a high altitude trek in this single Langtang Trek. 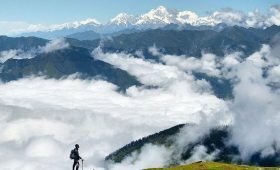 For further queries, questions related to this beautiful trek or any other trek or tour in Nepal, feel free to contact us.